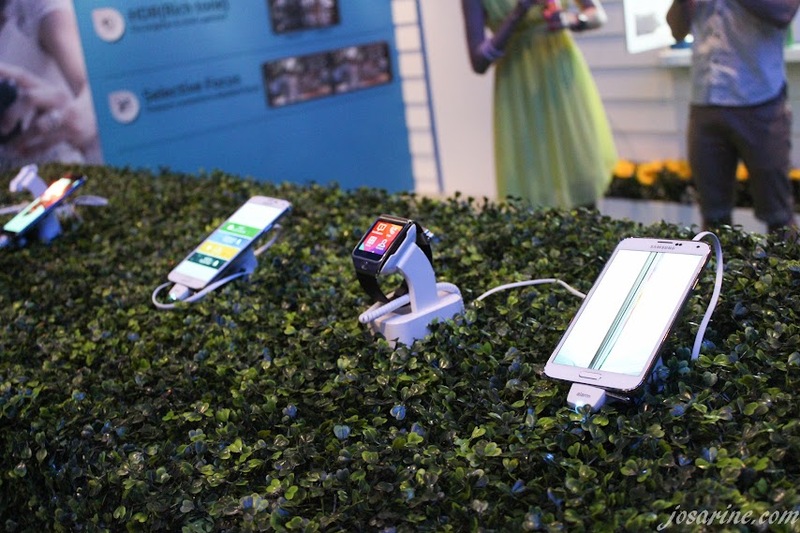 "The Galaxy S5 combines an advanced camera, fast network connectivity, dedicated fitness tools, and enhanced device protection featured as consumers stay fit and connected in style." 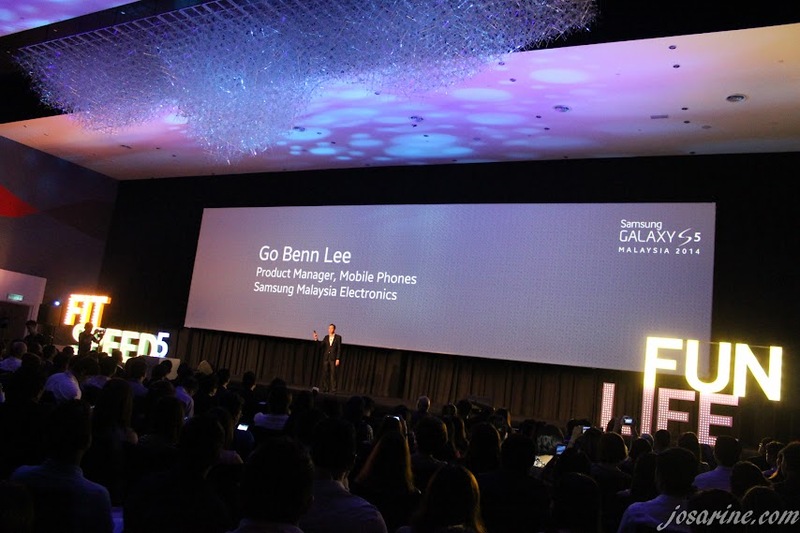 The GALAXY S5 represents an iconic design with essential and useful features as Samsung focuses on delivering the ultimate smartphone experience to consumers today through people-inspired innovation. 1. Capture to moments that matter. Moments are definitely precious, sometimes once it's gone it's gone forever, which is why having a camera that can capture moments quick and easy is important. But then again who is going to carry a camera everywhere they go? But as for phones, we can't leave the house without it. 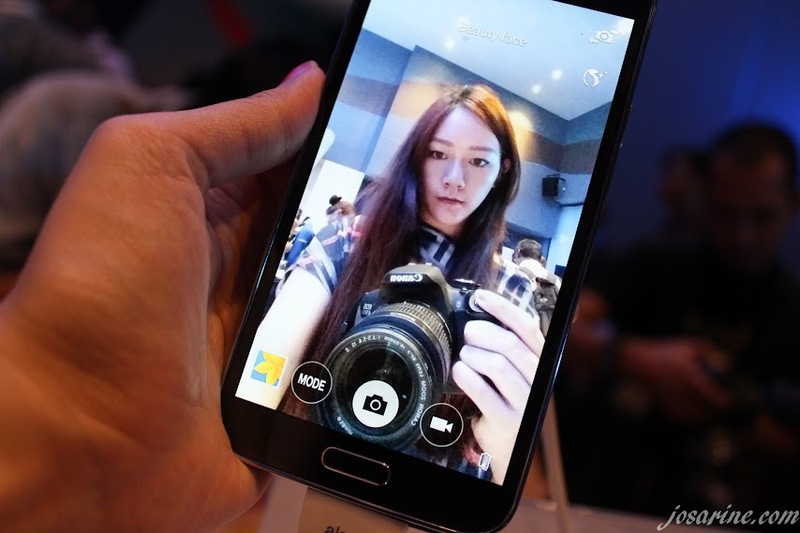 Featuring 16-megapixel camera in the new Samsung S5, with an enhanced menu and user interface that allows consumers to capture moments effortlessly as well as editing and sharing photos. Like the Samsung Galaxy Note 3, the S5 has a gear as well. Below is a picture taken with the gear and it is connected with the phone. The Samsung Galaxy S5 phone has a fast auto focus of 0.3 seconds and HDR (High Dynamic Range) that reproduces natural light and colour with striking intensity at any circumstances. One of its new feature would be the "selective focus feature" to give the DSLR picture effect, if you know what I mean ;). If you don't, it just simply means focusing on a specific area or object, while blurring the background. I have to admit that I was pretty surprised with the front camera of 2.0-megapixel, I think it's clearer than my Note 3... but it's okay I still love my Note 3. The new S5 has an iconic and modern design which may appeal to some consumers featuring perforated pattern on the back cover. The Samsung S5 comes in an array of vivid colours: Charcoal Black, Shimmery White, Electric Blue, and Copper Gold. The GALAXY S5 offers the most advanced LTE experience and WiFi performance available today. The GALAXY S5 supports the fifth generation WiFi 802.11ac and 2X2 MIMO. It also has a larger number of LTE frequency with LTE Category 4 Standard. Want an even faster connection? GALAXY S5 now features "Download Booster" an innovative WiFi technology that will help boost your data speed by bonding WiFi and LTE simultaneously. Now with the existence of the Galaxy S5, exercising and staying fit would be so much easier as well. With the enhanced S Health 3.0, the S5 offers more tools to help people stay fit and well. 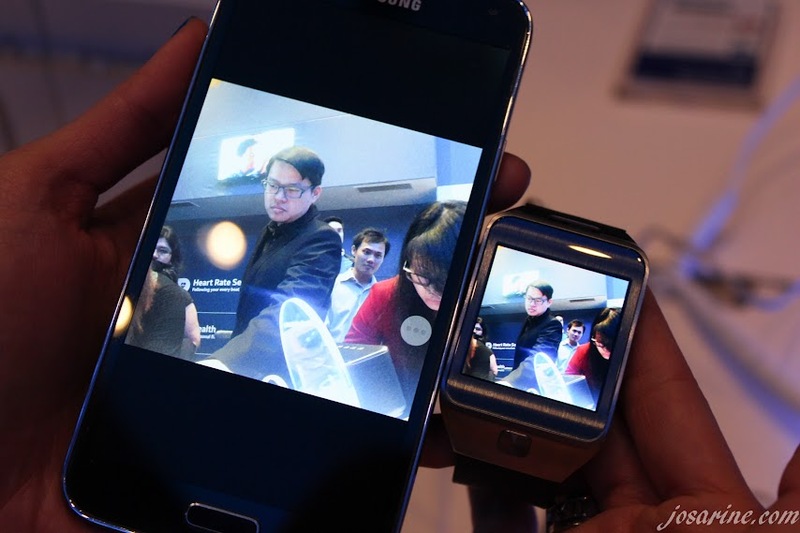 Samsung may be a gadget, but they do care about consumers' health as well. It provides a personal fitness tracker which can help users monitor and manage their behavior with additional tools, pedometer, diet, exercise records and the amazing one, the new built in heart rate sensor. The Galaxy S5 is IP67 certified, which means it is dust and water resistant. Remember what I mentioned above about showering with my phone? 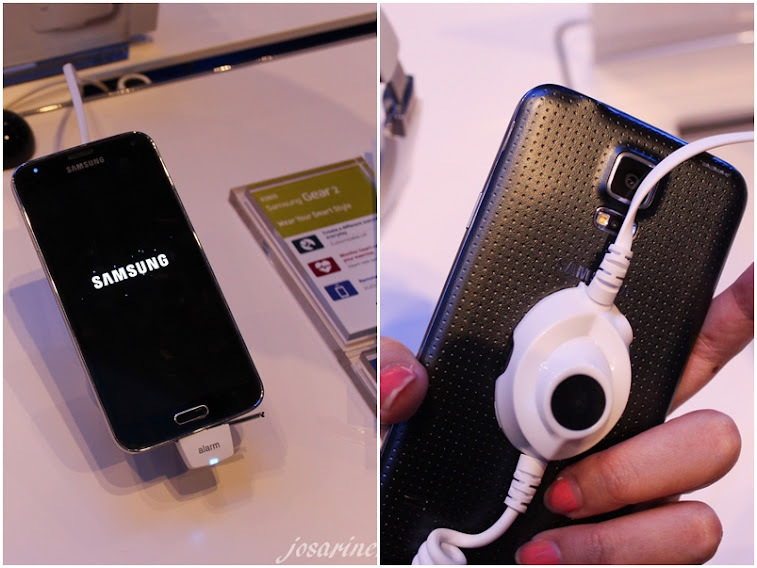 Another cool function of the new S5 is the "Finger Scanner". Now you don't have to worry about people seeing your key lock password because you won't even need one! Just scan your finger and you're in. If someone wants to steal your phone, just wish them good luck in unlocking it ;). Another new function of the S5 is the Ultra Power Saving Mode where it turns the display to black and white, and shuts down all unnecessary features to minimise battery consumption. Met alot of friends at the Samsung Launch, but here's one picture of them... :) Zana and Sandy. 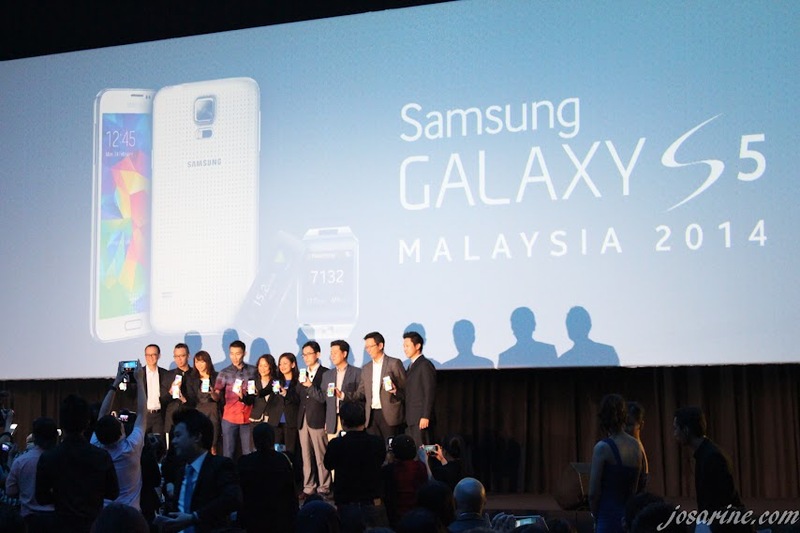 The Samsung GALAXY S5 will be available in Malaysia on April 11, 2014 with the price of RM2,399.00 as well as selected telco partners: Celcom, Digi, and Maxis. 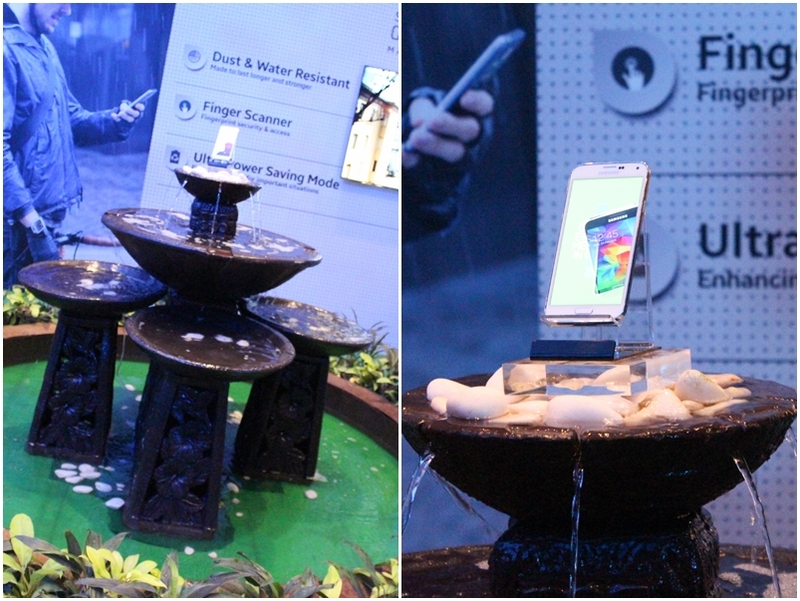 Preview units will be available at participating telco outlets and Samsung Mobile Brand Stores.